In this video, Paul Lupe from our emergency management office, provides a reminder for existing CEAN users of the need to create a new Fairfax Alerts account before the end of the month (Sept. 30). The former CEAN platform will no longer be used after Sept. 30, so we want to make sure that if you were receiving alerts that you continue to receive them after the full switch over to Fairfax Alerts. Learn more and register for Fairfax Alerts at www.fairfaxcounty.gov/alerts. If you have any questions, or need assistance in registering, email OEM-AlertSupport@fairfaxcounty.gov. Fairfax Alerts, the new alert system from Fairfax County, is now live and you are encouraged to sign up for emergency alerts, as well as severe traffic and weather alerts customized to your desires. In the video below, Sulayman Brown with our emergency management office, shows how simple it is to get alerts. Choose to receive traffic updates, emergency alerts and county government notifications. Choose automatic weather notifications for up to five geo-targeted locations. Set quiet periods for chosen weather alerts. Add up to 10 delivery methods such as email, cellphone, home phone and text messages. Stay in the know on the go with the mobile application, available via iPhone and Android devices. Fairfax Alerts is free. You may incur charges from your cellphone company if you have a per-call or per message limit on your mobile device. 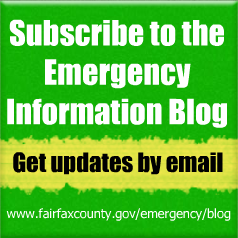 Sign up for Fairfax Alerts today at www.fairfaxcounty.gov/alerts. Registered CEAN users are asked to create a new Fairfax Alerts account before Oct. 1 when CEAN accounts will be deleted. CEAN users will continue to receive alerts until Oct. 1 without registering in Fairfax Alerts, but we highly recommends that you sign up for the new system to receive enhanced alerts. Many of you have heard of and are currently signed up for emergency alerts from CEAN — the Community Emergency Alert Network. In this video, Sulayman Brown with our emergency management office, says that coming soon, the CEAN will be replaced by a new alert system called Fairfax Alerts. Fairfax Alerts will deliver important emergency alerts, notifications and updates during a major crisis or emergency, in addition to day-to-day notices about weather and traffic. 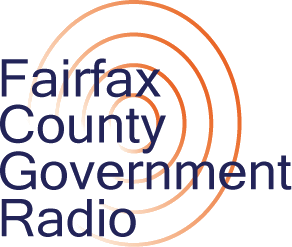 Learn more at www.fairfaxcounty.gov/alerts — and stay tuned for the official launch of Fairfax Alerts coming next month. If you are currently signed up on CEAN, you will continue to receive emergency alerts until the new system is implemented, and you will receive a notification on how to receive alerts once Fairfax Alerts is launched. David McKernan, coordinator of emergency management, encourages residents to take the personal responsibility to be prepared for emergencies, which includes making a plan, building a kit and staying informed. Residents can keep up-to-date with the latest preparedness information and emergency news during times of crisis through emergency alerts, the emergency information blog and other sources. June is National Safety Month and we will be providing critical summer safety messages twice a week throughout the month. 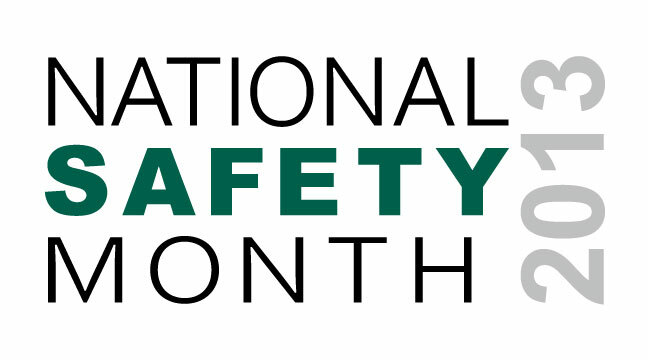 Fairfax County’s Risk Management Division and the Office of Emergency Management encourage all of us to take a few minutes this month to become aware of some of leading causes of preventable injuries and deaths, and the easy steps you can take to stay healthy and injury-free. Some of the topics we will cover this month will include safety; slips, trips and falls prevention, and how to safely play and work in the summer heat. Register for emergency alerts from CEAN — the Community Emergency Alert Network. You’ll be able to get alerts delivered to your email account(s) and as text messages to your cellphone. Get email updates from this emergency blog. Sign up at the top of the right column. You can also receive blog updates via RSS as well. Subscribe to NewsWire and receive county news and information by Twitter, email or RSS feeds. Add links to the mobile version of our website to your smartphone – as well as FEMA, the American Red Cross, the Centers for Disease Control and Prevention (CDC) and the National Weather Service. Follow our social media sites (Twitter and Facebook). Add apps to your smartphone. Fairfax County has one, as well as the American Red Cross and FEMA. Bookmark www.CapitalRegionUpdates.gov for regional news and information, weather reports and links to valuable preparedness and response resources. Information on summer and heat safety.